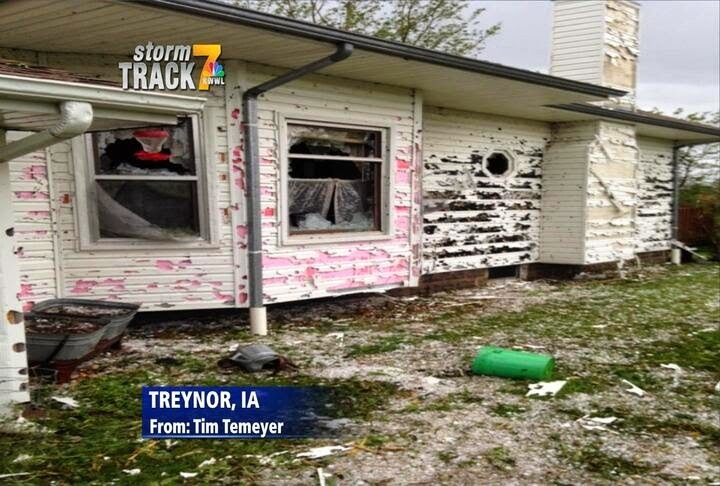 Severe storms rolled through Iowa and Nebraska yesterday. Unfortunately, more are forecast for today. 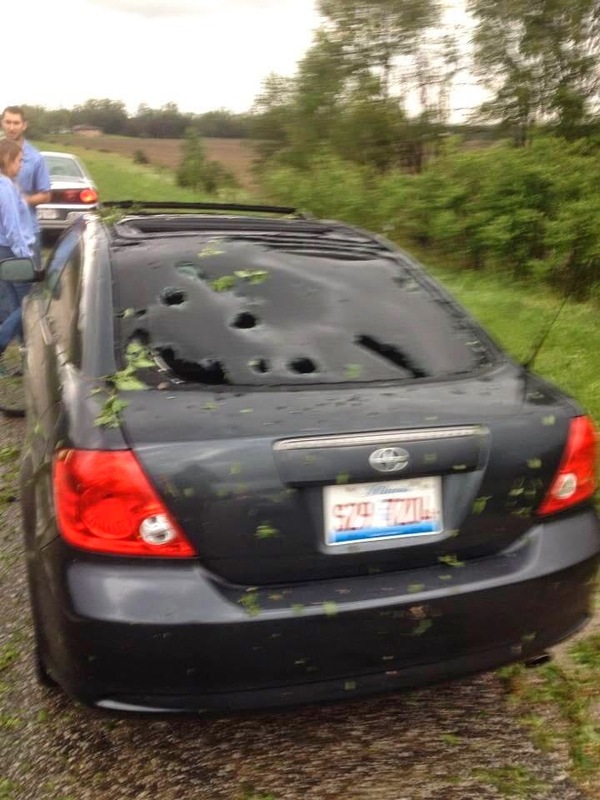 I was amazed at the hail damage in Nebraska from the violent storms that rolled through. I have seen hail dent cars many times, but I've never seen hail puncture them! Homes and cars in parts of Nebraska and Iowa were pummeled Tuesday by baseball-sized hail and damaging winds as potentially dangerous storms targeted a swath of the Midwest, including the Omaha area, where flooding left dozens of drivers stranded and prompted home evacuations. The National Weather Service said reports of extensive hail damage and flooding had trickled in as storms pushed into Nebraska and moved into neighboring Iowa, where winds of up to 85 mph were recorded. 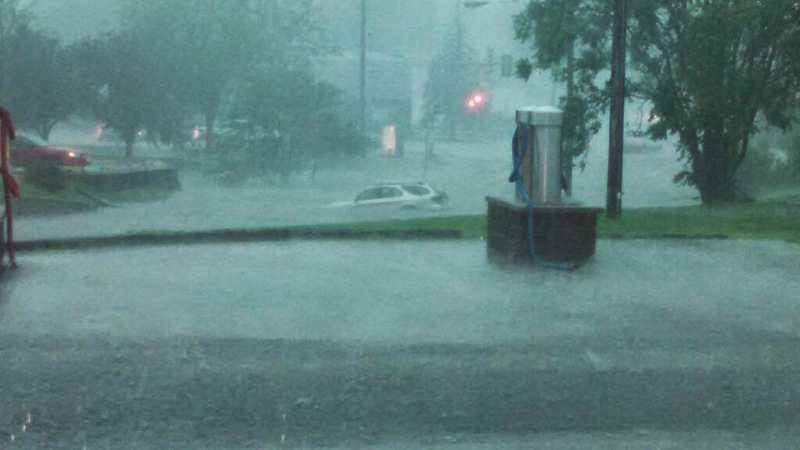 Up to 4 inches of rain was expected in parts of Nebraska and Iowa. Weather Center Live meteorologist Shawn Reynolds tweeted yesterday at the height of the storms: "It's the day from #hail: More than 130 storm reports of hail today"
Walmart parking lot, 12 taken to hospital, conditions unknown. 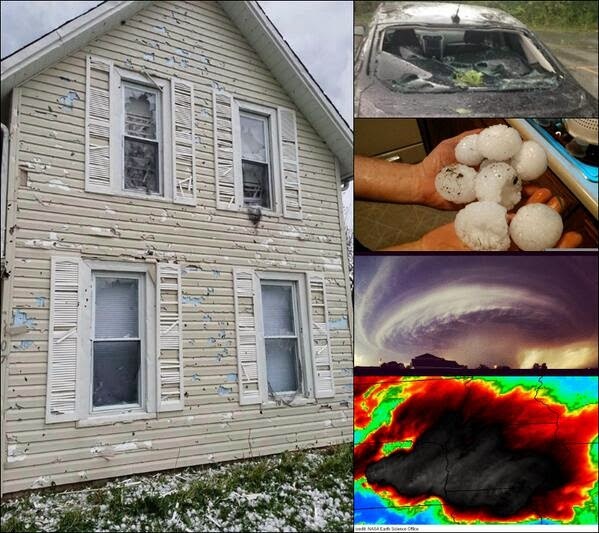 Above photo was tweeted on Shawn Reynolds' stream,: "RT @AdamPeters: Hail damage in Blair, NE via @Michaeldkrueger's cousin #newx"
Above photo tweeted from Shawn Reynolds' stream: "This is just nuts RT @KWWLSchnack: Hail damage in #Treynor from storms Tuesday afternoon. #iawx"
driftwood1963 Instagram, "Wickedness falling from the sky! #iowa #storms #crazy #wicked #hail #thunderstorms"
You notice that unusually, there were no tornadoes in January or February. 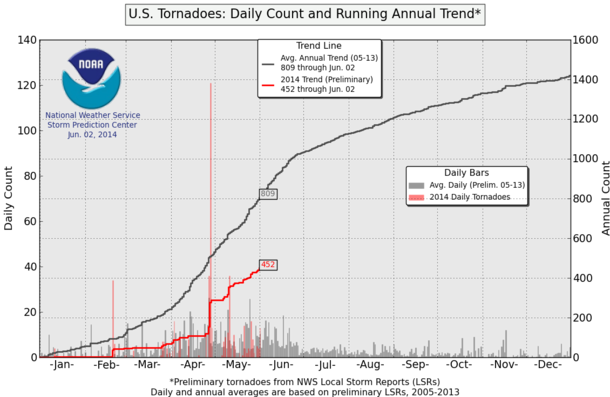 It is a fact that 2014 is the slowest start to tornado season ever, and gratefully, no fatalities. I searched insurance websites to see what the claims from weather damage have been for the last few years. The Rocky Mountain Independent Insurance Agents bulletin reported that "The nation has experienced severe storms (wind, tornado, hail) that are occurring with more intensity and affecting more areas of the country. While scientists debate why these storms occur, no one argues with their effects—extensive property damage and, many times, loss of life. The National Insurance Crime Bureau (NICB) reports that "Hail Damage Claims in the United States, between 2010-2012, more Frequent, Severe Storms Drive 84 Percent Claims Increase." 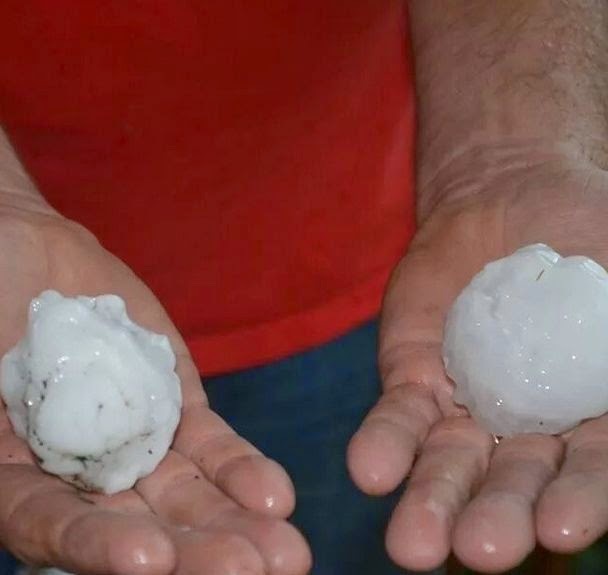 In Montana, it is reported that the year 2013 was a record-setter for hail damage. "Imagine a baseball dropped from an airplane flying at 30,000 feet ... imagine that baseball reaching speeds of 120 MPH as it falls to the ground ... and imagine you're under it! Imagine you're driving along at 70 MPH...or your crops are under the hail producing thunderstorm...or your home is under the thunderstorm... Hail causes $1 billion dollars in damage to crops and property each year." The article discusses how hail forms, how to size hail, why some hailstones are irregularly formed, the largest hailstone ever recorded in the US, and more. "And great hailstones, about one hundred pounds each, fell from heaven on people; and they cursed God for the plague of the hail, because the plague was so severe." One hundred pound hailstones are not normal. It is not natural. The Weather Underground reports that "The largest officially recognized hailstone on record to have been ‘captured’ in the U.S. was that which fell near Vivian, South Dakota last summer (2010) on July 23rd. It measured 8.0” in diameter, 18 ½” in circumference, and weighed in at 1.9375 pounds." So when the 100 lb hailstones fall men will know that it is God, because such large hailstones have never fallen in the world to date. These hailstones will be larger by a factor of ten. Give glory to the God in heaven now, for His restraining hand, for His blanket of mercy and common grace He delivers to the Godly and the ungodly every day. We have air to breathe, a creation to live upon, blessed rain in season, food to eat. We have the knowledge of the Gospel and for those who don't, the opportunity to share it. His grace and mercies are manifold. There is much to praise. When the large hail falls upon the city during the Tribulation, and men curse God, it shows us just how depraved we are. When faced with irrefutable proof of His existence, in creating such large plagues of hailstones, man in his pride still will not bow down. Bow now to the Comforter, the Prince of Peace, the Loving Son, and Great Shepherd. Or you will bow later, Romans 14:11 says. Excerpt then, you would bow before God as His enemy. Bow now in grace as His friend. It is a terrible thing to fall into the hands of the Living God. Has your church shut the door to Jesus? Time Magazine this week: "The End of Iraq"? We all have a pulpit. How do we use it?